­“We have already withdrawn some military forces from several Syrian provinces,” declared Syrian Foreign Minister Walid al-Moualem, following a meeting with Russian counterpart Sergey Lavrov in Moscow. He also says some of the government's forces have pulled out from Homs, as the Russian Foreign Ministry cites him. The Syrian FM demanded a guarantee from UN-Arab League envoy Kofi Annan that opposition forces would stand down and that a deployment of international monitors would coincide with the ceasefire. "The US and other countries which have influence over the Syrian opposition had better stop pointing the finger at China and Russia all the time, but rather use their leverage to convince everyone to stop shooting," he said. President Assad has until midnight Syrian time (21:00 GMT) to implement a full troop withdrawal. This will pave the way for Thursday’s planned ceasefire. Meanwhile, the Syrian opposition leadership has voiced their commitment to the ceasefire, reports Al-Arabiya. But if the government's forces fail to withdraw by Thursday, the rebels will resume fighting and will want Kofi Annan to take the crisis to the UN Security Council, the activists said on Tuesday. 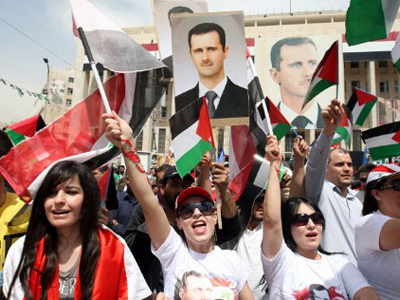 Activist reports contradict the Syrian government’s claims, alleging escalating violence across the country. Clashes between regime forces and anti-government activists killed over 160 people on Monday and a total of 1,000 in the last eight days since the peace plan was first announced, say opposition groups. 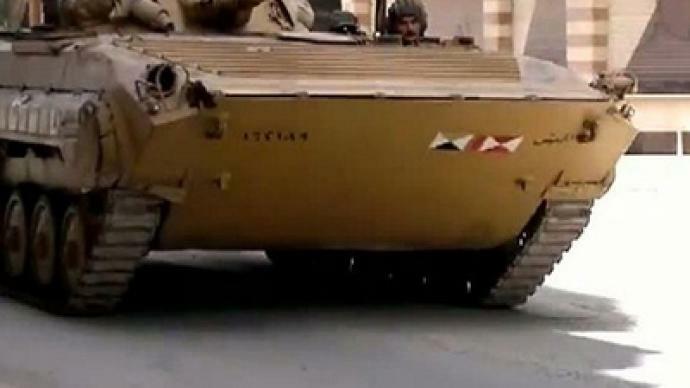 Later in the day UN-Arab League envoy Kofi Annan told the UN Security Council in a letter that the regime had not pulled troops and heavy military equipment out of cities and towns by Tuesday as promised. But he said there is still time to halt violence by Thursday morning, reports the Associated Press. "On the question of whether the plan is succeeding or failing, I believe it is a bit too early to say that the plan has failed. The plan is still on the table," the envoy told a press conference in Turkey. 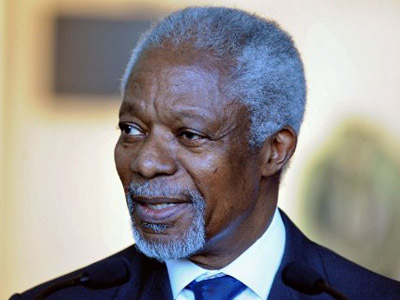 Annan appealed on both sides to stop violence immediately, without preconditions. Earlier, the international community voiced doubt over Syria’s compliance with Annan's road-map. The White House said that there were no signs that the regime was abiding by its withdrawal pledge. France branded the reassurances coming from Damascus as "a new expression of a flagrant and unacceptable lie" that "shows a degree of impunity against which the international community absolutely must act." British Foreign Secretary William Hague accused Damascus of using the cease-fire deadline "as a cover for intensified military efforts to crush Syria's opposition." Many fear that if the six-point peace plan fails, Syria will plunge into civil war. Assad and the opposition are currently locked in a stalemate. The regime has demanded a written guarantee from the rebels to stop fighting, a request that has been categorically refused by the opposition. On Monday the conflict spilt over into neighboring Turkey, where Syrian troops were reported to have fired across the border, killing one and injuring five people. The Turkish government denounced the attacks and said it would take unspecified steps if the mayhem continued in Syria, summoning Syria’s envoy to Ankara. ­Both sides in the Syrian conflict lack sincerity in their claims that they want to bring the bloodshed to an end, says Mark Almond, a visiting professor of international relations at Bilkent University, Turkey. Professor Almond does not believe the fight in Syria will finish this week. The opposition and the government “have no other intention than to win or fight till the bitter end,” he says. The international community remains divided over the Syrian conflict. 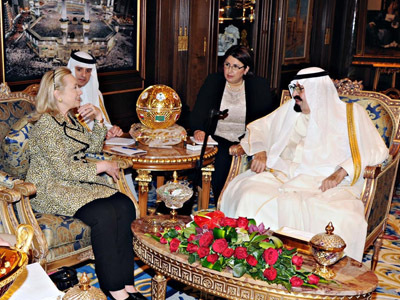 Western powers and the Arab League have been lobbying for opposition support in the form of financial aid and the ouster of Assad. Russia and China are opposed to international intervention and favor a more balanced approach, making equal demands to both the opposition and the Syrian government. Conflict has racked the country for over a year, with UN estimates putting the total death toll at 9,000. 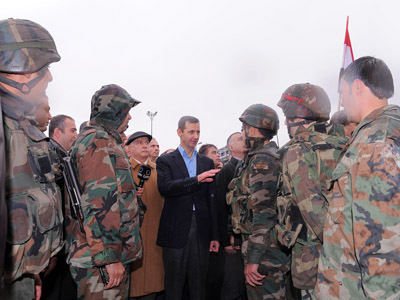 Assad’s government says that the rebels have killed more than 3,000 soldiers and security personnel.